Building a pool is a big project. It requires careful planning and the hard work of a reputable pool builder. The last thing you want is to dive into your new pool on a hot summer’s day only to find it is riddled with leaks and other defects. This post will give you an overview of what’s involved in building a new pool, so you can plan and budget accordingly. Reach out to your local council and find out what their building approval process is. A professional pool Builder like C.J.G Pools & Earthworks will be able to assist with this process. A team of draftsmen and engineers with then work with you to design your dream pool and submit it to council for approval. Construction begins. 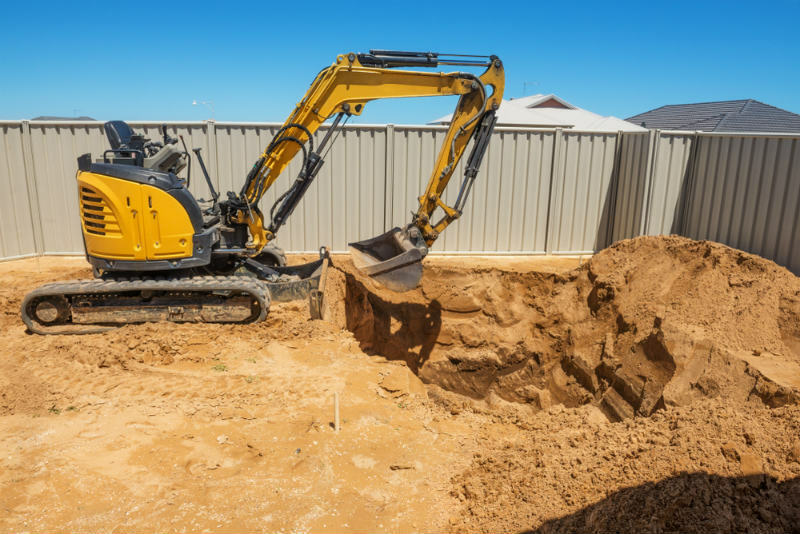 The first step is the excavation of your pool (digging the hole!). Steel fixing, pre-plumbing and concreting take place. If you are installing a fibreglass pool, the prefabricated structure will be lowered into the ground. External plumbing and electrics – installation and connection. Finishing touches – coping, fence installation and landscaping take place. Handover of your beautiful new pool! It does vary, but a reasonable estimate is five to six months. Therefore, if you want your swimming pool ready in time for summer, autumn and winter are the best months to start your pool building project. Other factors to consider are the availability of your pool builder and potential delays with council approval. If you are considering building a pool in Canberra, contact C.J.G Pool & Earthworks today. We will be there with you from the start (design) to finish (landscaping and decking).